David Hurter had begun to build up a playing card business in Schaffhausen during the late 18th century. 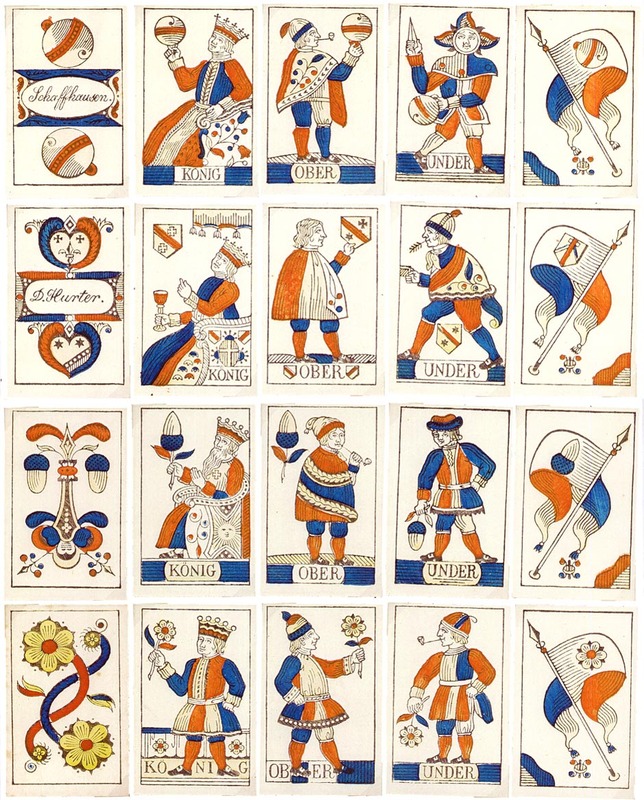 The cards shown below are from a standard Swiss-suited deck made around 1830. Click here to see a double-ended version. The business was subsequently sold to Müller in c.1863.